As network of independent market research specialists, we are able to assist you by solving your specific market research issues and conveying the right research partner for your project. Whom is the MAFO-Card for? 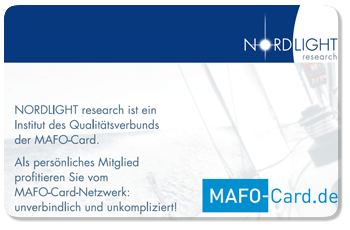 The range of exclusive services that you can use with your MAFO-card is constantly expanding due to new partner offers and special offers. Stay up-to-date by registering for our newsletter. 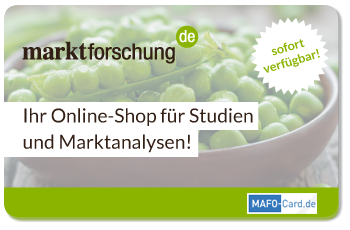 „mafo-card.de“ does not send any advertisements, unless you explicitly state that you want to be informed about news and offers. 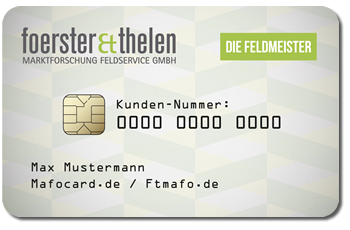 Registration and utilization of your MAFO-Card is free of charge and non-binding. Access to over 200.000 studies and market analyses from more than 100 international publishers. Surveys and research at the POS, as well as product tests, especially in the food, luxury-food, and maintenance products sectors. 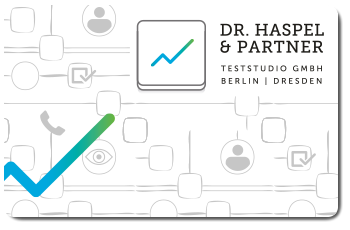 Organization of test persons and subjects, as well as implementation of product tests at Dr. Haspel & Partner’s provided studios. B2C market research services - from conception, data collection and evaluation to the report results and recommendations for actions. 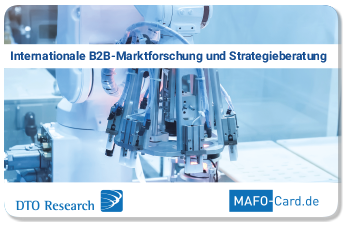 B2B industry market research and strategic consulting services, including the analysis of competitors, market potentials, customers and suppliers, as well as trends and markets.